In 1928, gaunt and dazed from 6 weeks at sea, my Grandmother Lily, stepped off the Orinoco, the ship that had brought her and her two little girls to the shores of Mexico from Hungary. They had sailed across the Atlantic from the port of Hamburg in Germany, and arrived 6 weeks later at the port of Tampico, in the Gulf of Mexico. 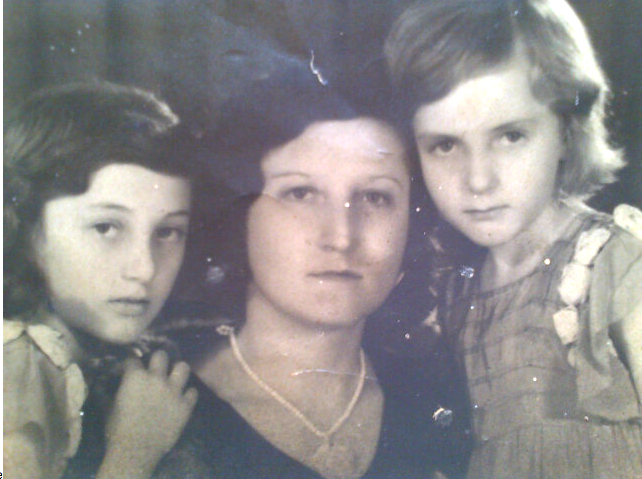 Holding my mother Martha and my Aunt Edith’s hands, she stepped off the gangplank and into a new world from the one she had known in Budapest. My grandfather Berzi, who a year before had announced he was going to America, was there waiting for them. He had arrived in Tampico, in the Mexican state of Tamaulipas, got settled, and sent word his to wife, that the family should join him. The days and weeks passed. My Grandmother was homesick. She was overcome with sadness, because she missed her mother too much. She could not adjust to life in Mexico, with its strange language, strange ways, and strange food. In particular she hated those round, cardboard tasting discs that everybody accompanied their food with; yes, my Grandmother Lily hated tortillas. She was so unhappy, she boarded the ship anew, with Martha and Edith in tow, and went back to Hungary. After several months, my grandfather persuaded her to come once more. After all, he argued, “At least here in Mexico, there is no anti-Semitism like that in Hungary, nor will we have to go down to the cellar to hide from the Bolsheviks”. She reluctantly agreed, went back to Tampico and settled into a new life. 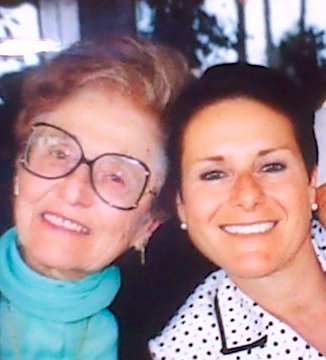 Eventually, my supremely Hungarian grandmother, came to love Mexico, and its food. She especially learned that the rich and smoky subtleties of the corn tortilla, were a thing of beauty. She came to understand and appreciate that the tortilla was a food like no other. Two generations later I couldn’t agree more. This ancient staple of the Aztecs, the wondrous tortilla, is a treat, rolled up warm and freshly made, or it is the unique and irreplaceable building block in the making of so many dishes. Come along, watch my video, and make your own homemade corn tortillas. For this recipe you will need a Tortilla Press. I bought mine at a restaurant supply shop, but they can be found in places such as Bed Bath and Beyond, Smart & Final, Macy’s or Amazon. Barring a few tweaks, I basically followed the directions for 8 tortillas, on the back of the MASECA flour bag. Divide dough into 8 equal balls, about the size of a golf ball. Heat a dry griddle or non-stick frying pan on medium-high heat. Line the tortilla press with a large cut open Ziploc bag. Place one ball of dough at a time in the center of the tortilla press, and flatten. As you carefully remove the tortilla, place it on the hot griddle or in the pan. Leave tortilla for about a minute on one side, it will start to smoke a bit and you’ll know it’s time to flip it over with a spatula. Leave for about one more minute on the other side, and remove to a tortilla warmer or a cloth napkin. Continue the process one tortilla at a time, until you have made them all. With your freshly made tortillas as building blocks, you are now ready to make tacos, enchiladas, tostadas, quesadillas, chilaquiles, and many more Mexican delicacies. JFK In My Post?…Not Only A Cooking Blog. In 1963, our family owned several retail stores in the Zona Rosa of Mexico City. I was 10, and had been given permission to walk by myself from one store to the other, as long as I didn’t need to cross the street. The names of our stores were, Riviera S.A., Martha Sastre, Marlen, May Boutique, Sabra, and Susan Kay. The stores were all located within about a one mile radius of each other. On the afternoon of November 22nd, I set out from Martha Sastre my mother’s store, to May Boutique, and Sabra, my grandmother’s and my Uncle Mundo’s stores. As I stepped out and turned left, I paused one door down, to look at the beautiful European pastry display in Konditori, a very fancy, (I thought), restaurant . I happily continued my stroll down Genova Street, looking at all of the store-front displays as I went. When I reached the corner and turned left at Hamburgo Street, I suddenly heard a commotion. 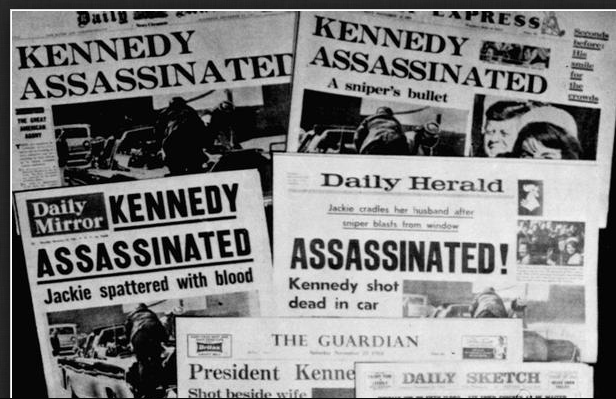 Alarmed grown-ups were shouting up and down the street, “Mataron a Kennedy, Mataron a Kennedy”… “They’ve killed Kennedy, They’ve killed Kennedy”. At 10 years of age, never having been outside of Mexico, I knew who Kennedy was, because my parents spoke a lot about him at home. As young as I was, they had made me and my brothers understand that Kennedy was a hero, that he was the hope of the world…the hope for freedom, equality and justice. So many sad days followed. My mother didn’t go to work. I cried because my mom cried. She almost never cried so when she did, it deeply affected me. She sat on that nest shaped chair, legs folded into fetal position, black ballet flats tucked under her. I watched her watch the funeral at Arlington Cemetery. Children learn sensitivity from watching their parents’ sadness and heartache. It’s best (and prettier) to click on the link, to read recipe on the blog-site rather than in your e-mail inbox. By now most of you have heard that this year Hanukkah and Thanksgiving overlap, and that this happens more or less every 70,000 to 80,000 years. In the spirit of this occurrence I have devised two recipes that blend the flavors of both holidays. I will serve this at our family Thanksgiving/Hanukkah celebration this year. Pour orange juice and water into a medium-sized saucepan, that you have placed on the stove over medium high heat. When liquid begins to boil add the white sugar and brown sugar. When the sugar has dissolved add all of the other ingredients except for the cinnamon stick. When mixture comes to a boil, lower heat and continue to simmer while you stir intermittently for 15 to 20 minutes. After the cranberries have popped and the mixture has thickened remove it from the heat. Mix in the cinnamon stick with a bit of its liquid, and allow it to sit and cool, then refrigerate. When you are ready to serve, remove the cinnamon stick. You will see that the cranberry sauce has gained a thick and jelly like consistency. Peel and quarter the potatoes, and grate them in the food processor or with a hand grater. Place a strainer over a bowl and line the strainer with cheesecloth or a thin dish towel, and allow the liquid to drain. After the potatoes give off most of their liquid lift them up inside the cloth and wring them out as much as possible. Slowly, discard the liquid and keep the potato starch that has settled at the bottom of the bowl. Grind the onion along with the garlic clove and drain separately in a strainer. Place all of the ingredients in the bowl with the layer of potato starch except for the egg whites, and mix thoroughly. Separately, beat the egg whites with a pinch of salt, until stiff. Gently fold the egg whites into the bowl with the potato mixture. Heat the canola oil over a medium high heat for 3 or 4 minutes. Take the amount of about 1 tablespoon, gently place into the hot oil, and pat it down with the back of a spoon to flatten it a bit. Allow the latkes to fry for about 6 minutes or until the sides are a deep golden color, then flip them over and fry them for another 6 minutes. Remove to a paper towel-lined cookie sheet, and drain excess oil. Serve the potato latkes nice and warm, along with the cranberry sauce or any topping of your choice. “That’s not fair mommy why don’t I get to go to the Mexican section too?” Her answer, whatever it may have been, made me feel smarter than my two big brothers, but I was still mad and a little heart-broken at leaving my other school and my friends. The schools my mother chose for us were always with one aim in mind. Get the best education possible, get as worldly as possible. 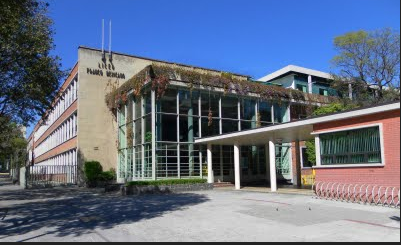 At the American School in Mexico City, we learned and daily improved in English, while at the same time keeping up with our Spanish, but the inevitable day came, when we were transferred to the Liceo Franco-Mexicano. My mother thought that it would be good if I learned French. It was very becoming of a girl to speak French, she thought. So, in 2nd grade I was placed directly in the French section, which was complete French immersion. We were not allowed to whisper or even breathe a hint of a language other than French. I was not happy but I did pick up the language quite easily. We wore uniforms of grey skirts and white blouses, and our navy blue sweaters had to have the school emblem sewn on them. White socks and black shoes were mandatory. The teachers were strict and never smiled, and particularly disliked me because I was left-handed. In those days being left-handed was not acceptable and they tried to get me to write with my right hand until my mother told them to stop coercing me. The principal, a tall bespectacled, big-boned woman, would be called in especially to discipline the mischievous kids by slapping the backs of their hands with a long ruler. The victims were always, what I thought to be, normal 7 or 8-year-old, energetic boys they didn’t know what to do with. I made up my mind never to get hit, and I never did. My teacher was very stern in her black net, which covered her black frizzy hair, that starkly contrasted with her milky white skin. Daily, she wore a crisp and fresh white button down sweater, and she never smiled. One day I asked her a question and as she leaned over my small pupitre…desk, I accidentally stained her white sweater with my blue ink pen. The look she shot at me injured my 2nd grade psyche so badly that I still remember it today, more than 50 years later. Scrambled Eggs with Yucca Flower, Prepared Mexican Style. Los Angeles is full of Yucca Trees, in fact there is a street in Hollywood called Yucca Street, named so because of the prevalence of the trees with the long and dagger-like leaves. I am fortunate to have a Yucca tree in my back yard and every so often the top bursts into bloom, and a beautiful cluster of white flowers appears. For years I never paid much attention, as it would come into bloom and then dry up. Then, about 15 years ago, our housekeeper Do ñ a Tere asked me to ask our gardener to cut it down because the flower was edible, and a popular diet staple in Central America. 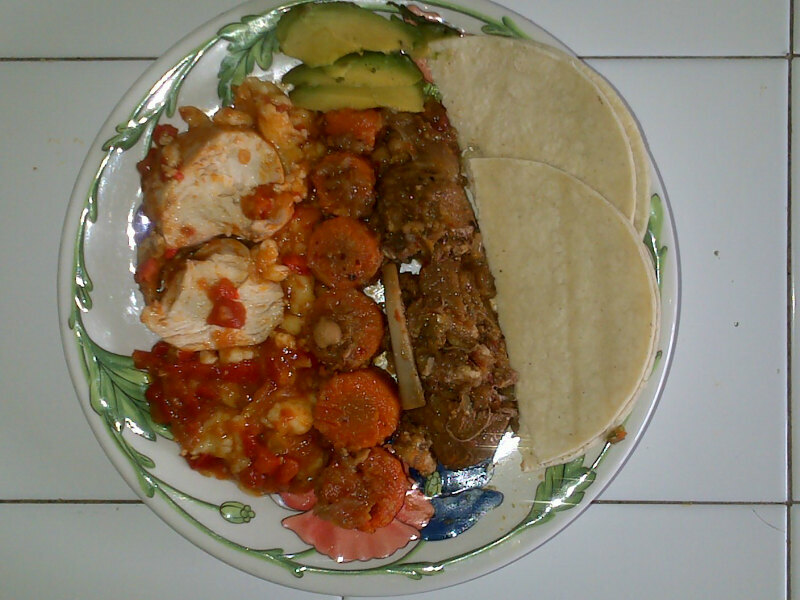 She prepared it in the style of her native Guatemala. 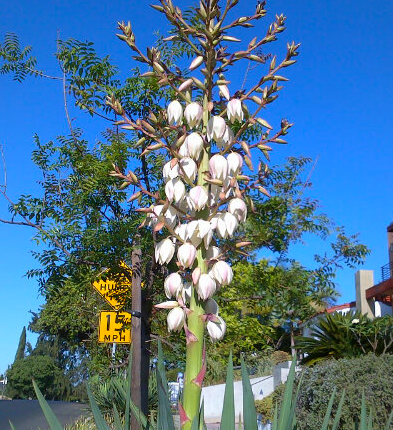 A few weeks ago when the yucca flower came back into bloom I asked our gardener to cut it down for me. Click on the above video to see my step by step preparation of Huevos Revueltos A La Mexicana Con Flor De Izote, Scrambled Eggs with Yucca Flower, Prepared Mexican Style. Remove the individual yucca flowers from their stem, and remove the pod from the center of the flowers, soak in water for 10 minutes, then rinse thoroughly. Bring a quart of salted water to a boil. Place the yucca flowers in the boiling water, allow to boil 4-5 minutes, and drain. Heat the olive oil and add the chopped onion. When the onion begins to shimmer add the serrano pepper, stir for a couple of minutes, then add the yucca flowers, stir again, add the diced tomatoes, and then stir a few more minutes. Add the beaten eggs and stir over a medium high heat, until they reach the consistency you prefer. Serve with diced avocado and warm tortillas, for making tacos. When it comes to baking, Anita my daughter, is the master . 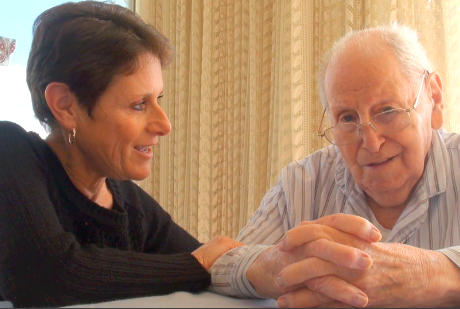 It was so wonderful having her home for the Passover Seder this year. We hosted 23 people, and Anita volunteered to make the desserts. When Anita undertakes a recipe her personality shines through. She is meticulous and a perfectionist and goes to the market 12 times if necessary. She adds her own touches and notes any changes or suggestions. She sets timers to not over-bake for even one second and then she removes the dish from the oven, only when it reaches just the right shade of golden perfection. 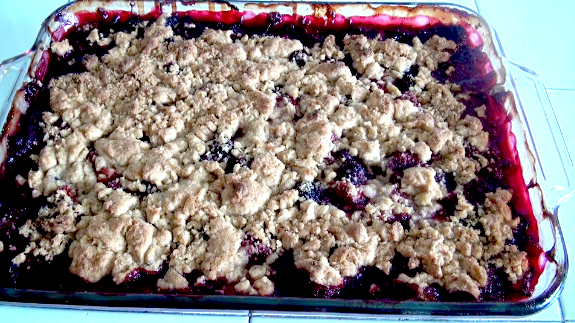 Anita made this berry crumble and it was out of this world! When she made it she didn’t use blackberries but in this version I have added them. I really like this recipe because it is so pliable. You can use any combination of berries you choose and if the berries are sweet and in season you can lower the quantity of granulated sugar, or you can omit it altogether and use only the brown sugar. For Passover Anita used Matzoh cake meal. In the recipe I post here, I have adapted it for year round use by switching the matzoh cake meal for cake flour. I have kept the potato starch because I find it binds the crumble very well, plus what do you do with all of that leftover potato starch right? 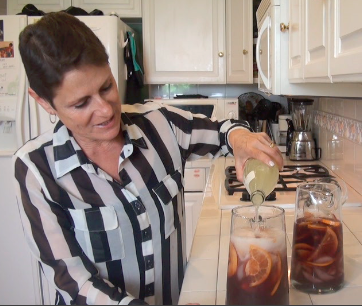 Click on link to the blog to see video of recipe. 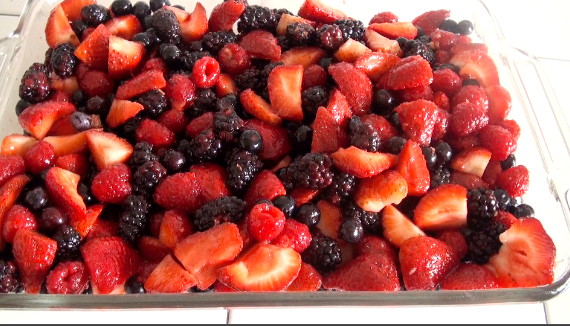 Spray a 9 X 13 baking dish with cooking spray, then place all of the berries in the dish. Add zest and lemon juice to berries. Mix together sugars and potato starch in a separate bowl or just add the ingredients directly to the berries and mix gently but thoroughly. For the topping, mix all of the dry ingredients, then add the cold margarine, working quickly (with your hands) to combine. The idea is to have some small lumps in the mixture – it doesn’t need to be a uniform dough. Distribute the topping evenly over all of the berries and bake on the middle oven rack for 35-40 minutes, or until the berries are bubbling and the crumble topping is golden. Has the term “comfort food” become a cliché? Perhaps, but if so, long live the cliché, especially when it comes to Mushroom Barley Soup. With its rich flavor, thick consistency, and satisfying essence this soup is the epitome of comfort food. It’s especially comforting on chilly, windy nights. I make this recipe in a large batch and then I freeze half of it in quart-sized bags to have handy for a last-minute dinner option. I have adapted this recipe from a cooking class (Taste of Tradition) I took about 15 years ago. Melt the margarine in a large skillet and saute the onions, carrots, celery, garlic and 1/2 of the parsley. After 5 minutes add the fresh mushrooms. Stir and allow them to cook down for about 8 minutes. Add the flour and stir over medium heat until mixture thickens. Bring the 4 quarts of vegetarian or chicken stock to a boil in a large soup pot. 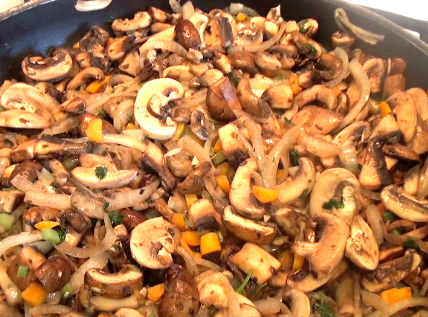 gradually add the mushroom mixture to the soup and stir after each addition. Strain and chop the dried mushrooms and reserve the water in which they soaked. When soup boils add chopped dried mushrooms along with the water in which they soaked. Then add the barley. Simmer covered for 45 minutes to an hour or until barley is tender and the soup has thickened. Add the remaining parsley, stir and check for further seasoning.